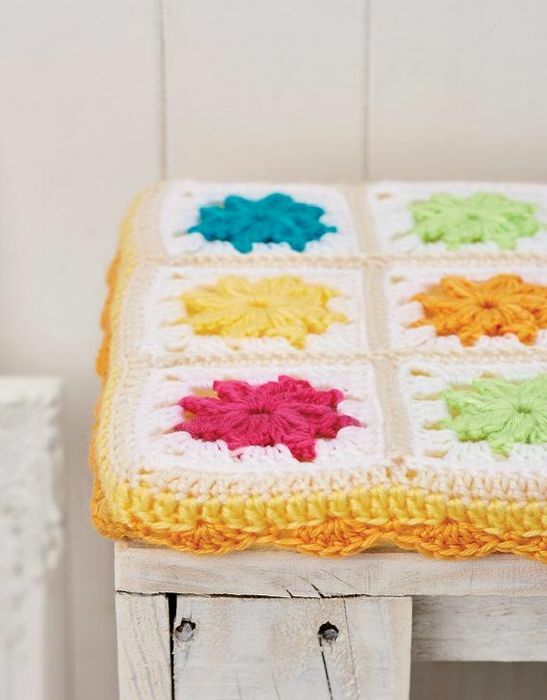 Add some extra colour to your decor with our granny square idea which fits snugly onto a stool. To create a larger topper, once the nine squares have been joined, work one treble in each double and three trebles in each corner stitch around the edge to increase the size by 2cm. Repeat this to enlarge at 2cm increments. Once you have reached the required dimension, work the border as in the pattern.